This coffee will be fresh roasted for you. 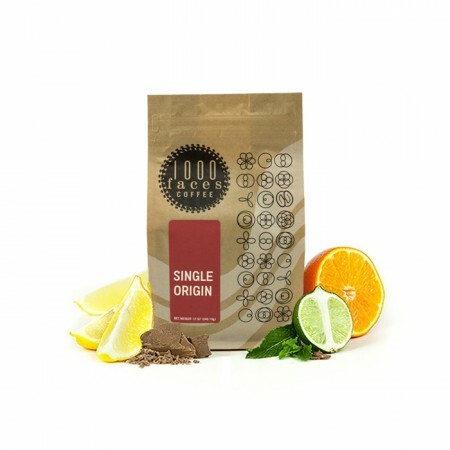 We expect 1000 Faces Coffee Roasters will roast and ship this coffee in 1-2 business days depending on their roasting schedule. This is the Guatemala Hunapu brought to you by 1000 Faces Coffee Roasters. This fully washed coffee was grown by 20 - 30 small holder producers in the Antigua region of Guatemala between 1,600 - 1,900 meters above sea level. This coffee has a range of sweet notes like brownies, hot cocoa, brown sugar, and vanilla with a crisp and balanced delicate acidity of orange, apple and pear. Very intriguing, unlike other Guatemalas I've come across. Pear nails it, like a pear tart maybe, fairly sweet with a touch of brown sugary roast quality.